As a gymnastic parent, you would completely understand the kind of money that goes into gymnastic classes, meets, and equipment. Even the essential products such as a gymnastics bar are pricey. To save cost, you can try making it yourself, but the question is how to make a gymnastics bar? The price hike is not limited to gymnastics bars; it extends over all necessary equipment. If your kid is an aspiring gymnast, this interest of theirs might cost you a fortune. Since all gymnastic equipment is costly, why not try to make some yourself at home. It is not a difficult task. Also, it will not take much of your time. It can be easily done within a day or extended over a weekend. If you have a few fundamental supplies and tools, it is certainly possible. You will surely need basic skills for building things. If you have already done some similar task in the past, then this should not be difficult for you. But, even if this is a first in itself, you will also be able to complete it successfully. 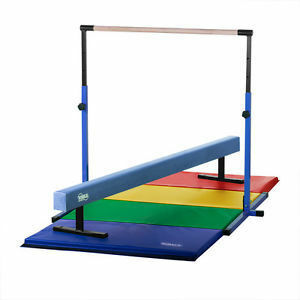 If you are looking for gymnastic bars under $300, you will get plenty options for kids from age 3 to 4. For ages above that, you will not be able to find a product with good rating at such a low price. All bars are well above $800 dollars!! If your kid is aged 5 or above then you will realize the prices gradually rise with increasing age. You child is already indulged in a professional gymnastic class, but they will require practice at home. Chances are you might not have so much money to spend on gymnastic equipment for your kid. Even if you want to, it is a steep price. Making a gymnastic bar yourself at home sounds like a great idea. How to make a gymnastics bar? I will guide through the entire process. And, you can do it all under $100! The optional are only required if you follow our method to the ‘T’. That is using a galvanized threaded steel bar. However, if you have different bar (such as wood), then you will not require these materials. The equipment can be easily made under $50, but you are recommended to use higher quality products. These products might cost a little extra but your kid will be safe. Here is a breakdown of each product's cost. You will require some basic tools for this DIY gymnastics bar. Most household already have them. But if you do not, there is no need to buy brand new ones. If you do not want to get a saw or do not want to use it, there is another option. Get help from home improvement store, they can make the cuts. Similar to a drill but has wide end, for a 3/8 inch pipe, use a 1-1/8 inch hole saw. ​Cut Legs- Cut one 12 foot 2 X 4 into half, giving you two 6 foot pieces. Repeat same for the second board. You will have 4 of these 6 foot pieces now. ​Build Legs- Pick any 2 out of the four 6 foot pieces you got in step 1. Screw and glue them together, face-to-face, using 2.5 inch wood screws. This way you get a 4 X 4 (double 2 X 4).Repeat this with the other two 6 foot pieces. These will be the legs of your gymnastic bar. 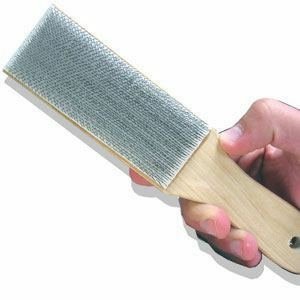 Cut Feet- For the gymnastic bar’s feet, take the 10 foot board and cut it into a half. You will get two pieces of 5 foot each. ​Find Crossbars- Locate the longest among the 8 foot long boards and keep it handy. They might vary a little in length, but that is not going to be an issue. ​Leg Braces- The other 2 boards of 8 foot will be cut into two 3 foot pieces each. Miter the ends to an angle of 45 degrees. This way they will be used as braces for stability and strength of the legs.Miter cut is made length-wise. Set it on the floor, when you look at it from the side, you will see tilted supports to the perpendicular frame. You will get 4 boards as leg braces and 2 two foot scrap pieces. ​Drill Holes- Use the 4 X 4 (double 2 X 4) to measure from floor to the desired height for bar. The bar needs to be around the chest of the gymnast. But, this is not the only perimeter; you will also have to calculate the actual height of the gymnast.For further help about determining bar height, read through the part ‘the right height’. Do not measure from top, measure from the bottom to the top. Mark the position of the hole.Now, measure across this board and mark. A 1-1/8 inch hole should be drilled here, through the 4 X 4. Repeat same with the other 4 X 4 (double 2 X 4). ​Attach Feet- The step 3 product 5 foot boards (feet) attach to the step 2 products 6 foot boards (legs). Attach them with 3 inch screws from the bottom. Repeat same with the other. Ensure that the hole for bar you drilled in the 4 X 4 is facing the right way. ​Attach Leg Braces- Take the leg braces made in step 5 (3 foot mitered). These will now attach on both sides of the feet and leg with 3 inch wood screws. Use two braces on each side of the frame.Measure approx. 25 inches from both the sides in a way that they form the edges of a square. ​Attach Bar- For the wooden barPlace the bar in the holes and secure with screws. Ensure that you make it strong and stable.For the steel barThread a bushing/coupler on either ends of the threaded bar of steel. Take a small 4 inch bar to ach coupler’s end. Before fitting the bar through drilled holes, add a washer of steel in the end.Add another washer and thread another coupler to the outside as a cap and use a wrench to tighten. Repeat the same with the other side. ​Attach Crossbars- The 8 foot 2 X 4 board you left in step 4 will be used now for added support and stability. Compute width amid the two legs. Now, cut the 2 X 4 accordingly. Attach these pieces, one to the back and the other to the front using 3 inch or longer screws. Your Gymnastic Bar is done!! The 2 X 4 boards used are actually about 1.75 inches thick and 3.5 inches in width. They are not really 2 inches X 4 inches. Always measure lumber for homemade gymnastics bar. The 12 foot 2 X 4 will not exactly be 12 foot in length, precision is not very crucial in this “big nails” endeavor. One side could be a little longer than the other even than there would be no problem. For matting conditions, you can check the gymnastics regulations. The standard bar height of a low bar could be anywhere between 38 inches and 53 inches. You can decide the optimum height for your kid’s nip bar. You can get the right height by measuring up to the chest of your kid. Add a few extra inches according to the mat (landing mat) you will use. Everything is related to the height and size of the gymnast. You can always buy adjustable gymnastics bars, but that would cost you a lot obviously. That is the reason behind ‘How to make gymnastics bars’ article. Before you dive into this project of making a gymnastic bar yourself, do read this! If you are looking to buy gymnastic equipment, then this method can save a lot of money for you. It will definitely not take the place of gymnastic classes or a trained coach. But, it is great for practicing. Also, always remember that unguided practice could lead to bad form or sloppiness. The kids or you can talk to their coach for useful tips about this situation. A gymnastic bar made at home can only be practiced up on under the strict supervision of adults. Although, if rightly built this bar would be strong and sturdy. But it should not be used for standing on, swinging on, doing spins or flips or anything else. It is important that you inspect it closely after building it, to determine that it is safe. This DIY gymnastic bar is perfect for chin-ups and basic candlesticks. But, everything should be done under the supervision of an adult. If you are not skilled enough to create something like this then take help. Get assistance from a family member or friend who has experience. Use common sense and caution!! Evidently, if it is built weak or it wobbles then it is not safe. Never use a wobbly or uneven gymnastic bar. Even if it is strong and sturdy, never allow your children to play on it unsupervised. After reading this article, you would surely have gained some insight into making of a gymnastic bar. The “how to make a gymnastics bar” question have been fully answered. We tried to keep the budget low since the aim was to save your money. Of course if you feel that you do not have the time and do not mind to splurge more to get a good quality gymnastics bars, feel free to read our detailed reviews on the top 5 gymnastics bars for home use. But, you can still purchase high-valued, quality products to improve the final product worth. Lastly, take full precautions while making and using it.